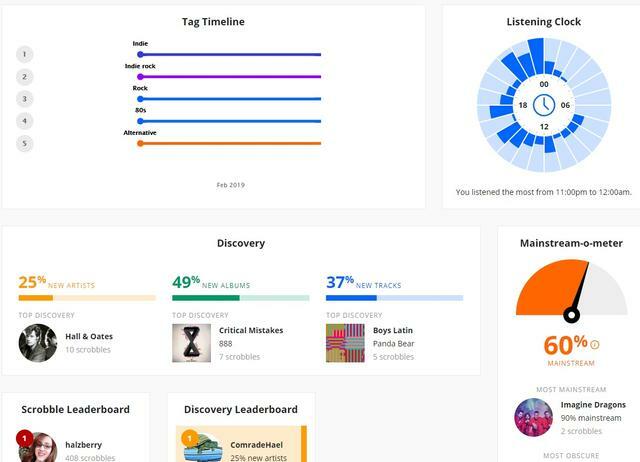 Does anyone still use Last.fm here? I know there were a few people back in the day. I just started again after several years. 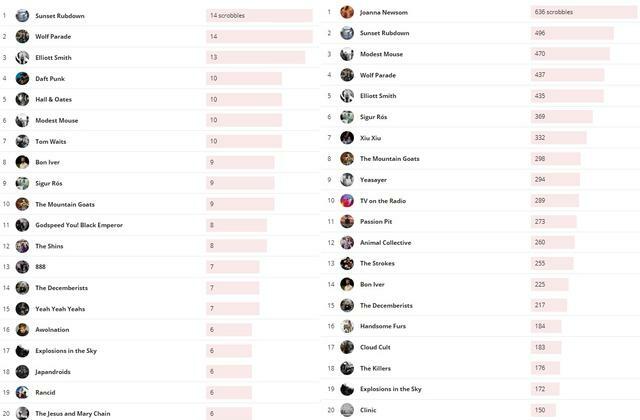 On the left are the artists and albums I've listened to most since I started using it again. 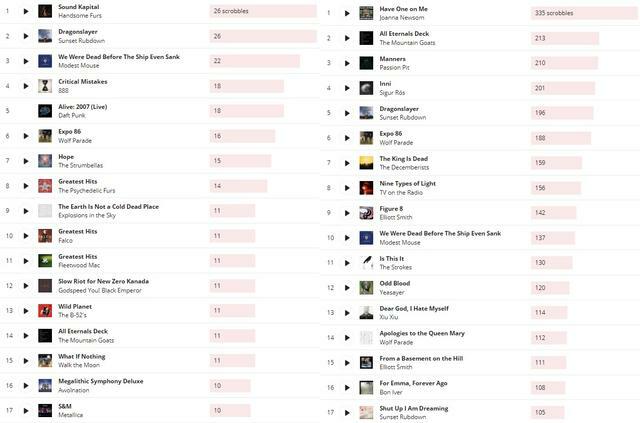 On the right are the all time top artists and albums I've listened to. I guess my tastes have changed... a little? They seriously charge for Canadians? 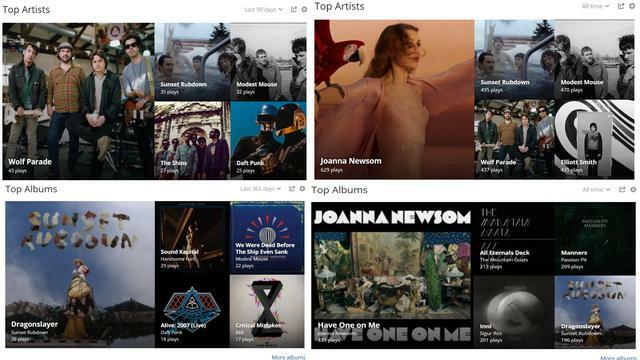 To scrobble what you listen to on other services or just to listen to stuff directly thru last.fm? I just spent the 3 bucks to go to premium just so I could see the fancy graphs and charts. It was about that, 3$ a month, for Canadians. I stopped. I don't use any other streaming service. Or internet service providers? And web hosting services? Yeah I saw that account in the list of people I was following and thought it was you but wasn't sure. 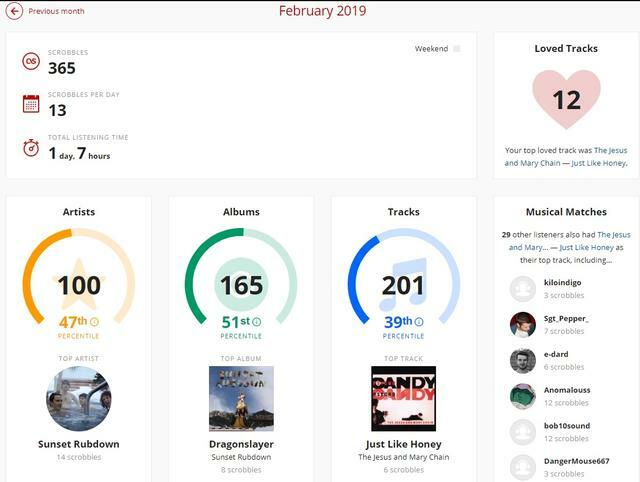 It looks like the only person from here I'm connected to from YT that still uses Last.fm regularly is Halzberry and I don't think she's been here in forever. I kinda get what you're saying. There are times I don't want something from scrobble because I'm embarrassed about listening to it. But I love charts and graphs and need my data to be accurate. But I don't have a problem going a week or so without looking at it. I wonder what happened in 2014? 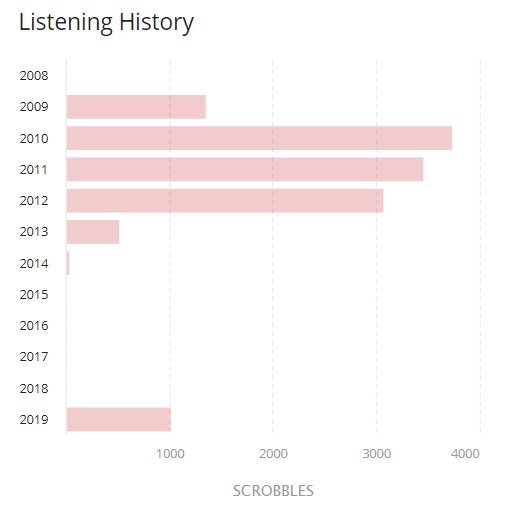 At first I thought maybe I got a new phone and didn't set up last.fm but all of the scrobbles there are from 3 days in May so that makes no sense. I'm a little surprised that the highest I got for any was the 51% percentile. 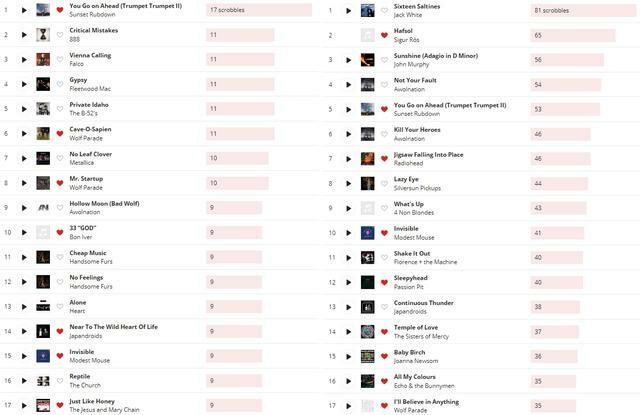 Some people really must listen to a lot more music than me. Ok some major changes there. It definitely seems like my tastes have broadened a bit. I've definitely added some more mainstream 80s music but a lot of the core artists are the same, if shuffled a bit. And our compatibility is only high! Probably because yours is mostly classical music. Also you have a crazy amount of shouts/comments [people left for you. One person in particular seems somewhat obsessed with you.